Inflation being just one of the main drivers of the U.K monetary policy, the BoE will keep a close eye on the UK Consumer Index (CPI) as its been in a steady decline over the last 6 months back to the Bank of England’s target of 2.00% inflation. 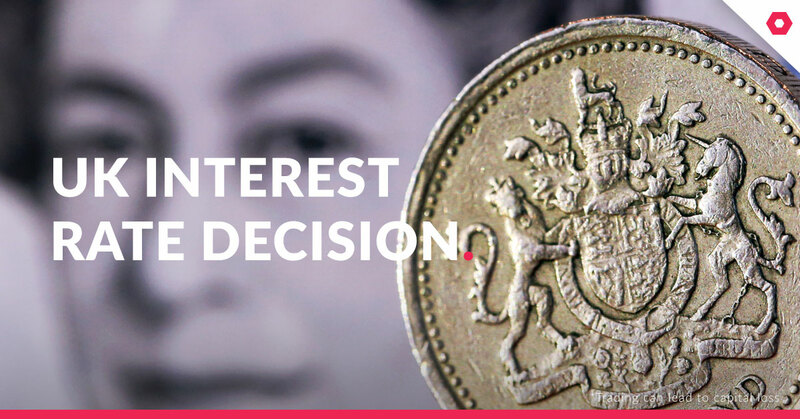 Interest rate: The consensus is that The Bank of England (BOE) will raise interest rates by 25 basis points to 0.75% which will only be the second time since the financial crises that interest rates are to be raised. Over the last couple of months, we have seen pressure on Emerging Markets as talks of international trade wars initiated by the U.S with both China and the EU dominate most of the year. If we see the Bank of England (BOE) monetary policy committee increasing interest rates -which is a 90% certainty it will add more pressure on the Rand (ZAR) as the Pound strengthens. We might see capital outflows as South African bonds will be less attractive as UK bonds will have a greater yield for less risk.